Today we made a little exploratory tour along the south shore of Lake Erie between Bay Village and Vermilion. Most of the trip was pleasant enough but started out under gray, featureless skies. By the time we reached Vermilion, however, the clouds had mostly dissipated allowing warm and cheering sunshine to bathe us. 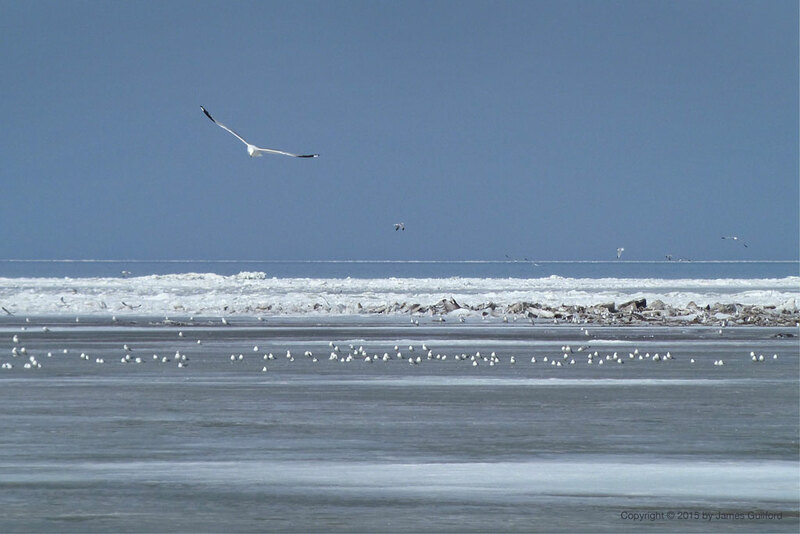 On the lake, off Vermilion, the icy cover had begun to break up; gulls sat and screed on thin ice and open water. Winter is losing its grip on our lake and land and spring is coming on the wings of gulls.